We’ve all been there, you shave or wax then annoying ingrown hairs appear. They are hairs that don’t emerge from the follicle but remain embedded in the skin, usually causing inflammation. I’ve been battling with ingrown hairs particularly around my knees for years. I started using the Bump eRaiser antibacterial wash and mitt together and have noticed a considerable difference. It helped get rid of my ingrown hairs within days of using them and my skin feels lovely and smooth. The Antibacterial wash comes in a clear plastic 250 ml bottle with a pump dispenser. The product itself is of a runny consistency. It has a mild citrus medicinal scent which is quite nice and not too overpowering. This is a low foaming face and body wash which may be good for those that are sensitive to foaming agents. The exfoliating mitt is one of the most cost saving tools in my beauty collection. It comes with a handy strap which I leave hanging in my shower and having it there becomes a constant reminder to use daily. Do not use it on your face or neck as it may be too abrasive. 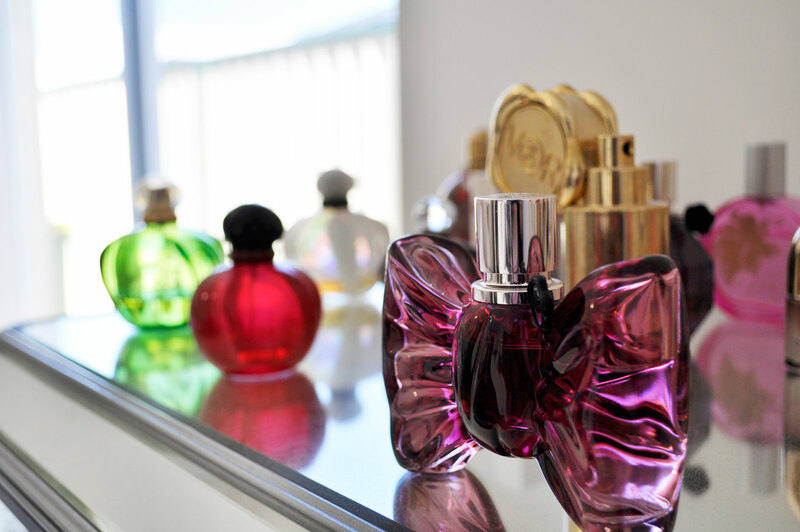 However it is the perfect texture to use everywhere else on the body. It’s flexible and perfect for men too (one size fits all). 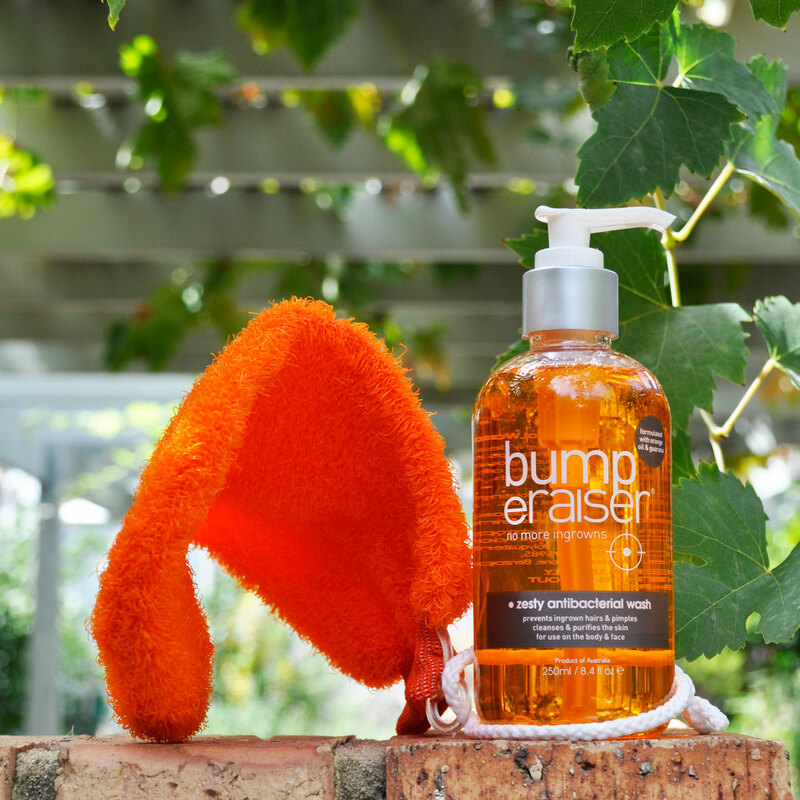 Bump eRaiser Zesty Antibacterial Wash is a face and body wash designed to cleanse, remove excess oil, and prevent ingrown hairs, bumps and breakouts. It is formulated with tea tree oil, a natural antiseptic and anti-inflammatory, to help reduce ingrown hairs and irritation. 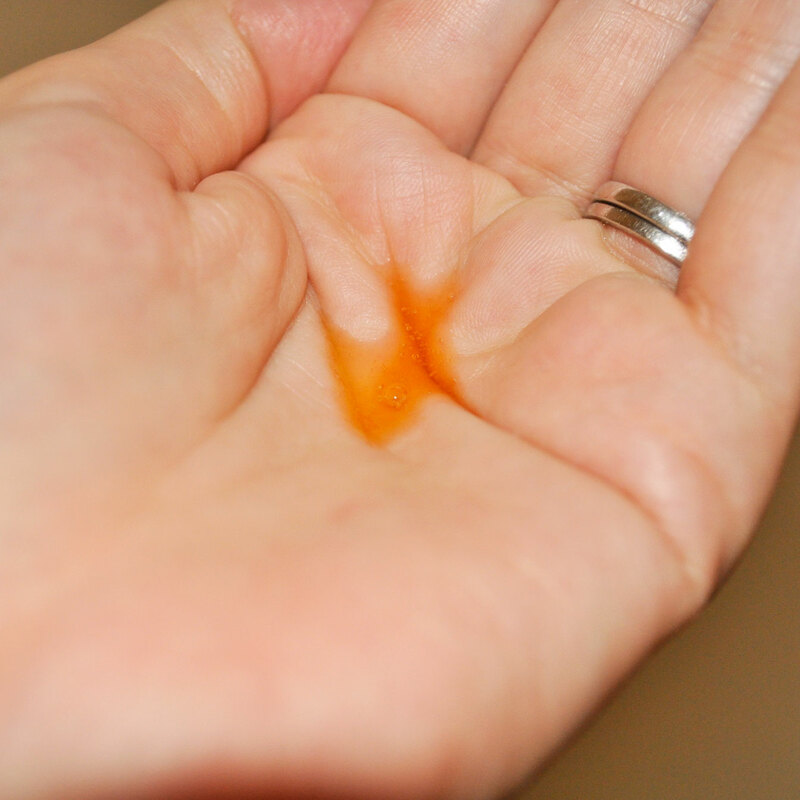 Orange oil and Guarana help to purify the skin, leaving it clear and smooth. It is ideal for all skin types and suitable for the whole family. The Bump eRaiser Exfoliating Mitt is a must have in your shower to prevent ingrown hairs. The unique blend of fibres massage away dead skin cells, improve circulation and leave the skin feeling soft and smooth. Ideal for use prior to hair removal and self-tanning application. Regular use prevents hairs from getting trapped under accumulated dead skin cells, reducing the chance of ingrown hairs forming. For best results use in conjunction with Bump eRaiser Medi Paste, Triple Action Lotion, Cool Splash or Concentrated Serum. i don’t know, just had to ask..
i see that you stopped by for a read..
Ooh ingrowns are the worst, this is so good to know! !